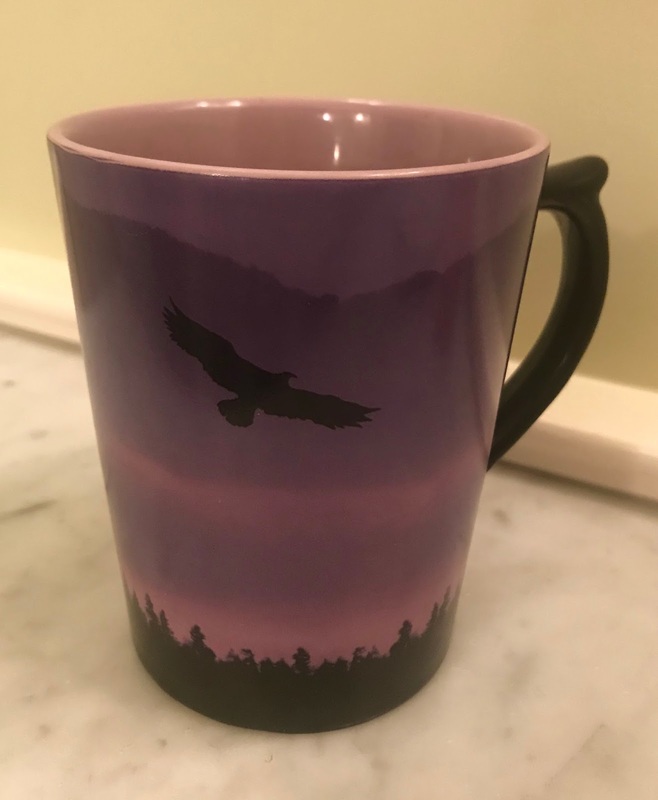 "Eagle conveys the powers and messages of the spirit; it is man's connection to the divine because it flies higher than any other bird ... If an eagle has appeared, it bestows freedom and courage to look ahead." Scott gasped his last breath four years ago today at 8:19 am. It still takes my breath away every time I think about it. The eagle continued to follow me. A few days later I crossed the bridge from White Salmon on the Washington side of the Columbia River. When I returned that day from Hood River, on the Oregon side, it greeted me as I exited the bridge just as I was getting back to White Salmon, where Scott had lived. That had never happened before. In fact, in my 20+ years of visiting Scott in the Gorge, I had never seen an eagle. 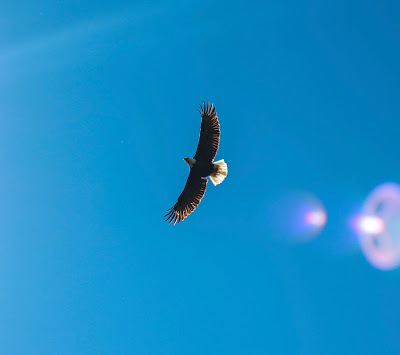 When I returned home to Seattle to gather my things to go back to Hood River for the memorial service, there were two eagles soaring over the dry cleaners in my neighborhood when I went to pick up my dress for the service. That never happens! And then... upon returning to Hood River for the service, a record amount of snow had dumped on the Gorge (Scott’s dream!) so the eagle wasn’t soaring. But, as I was preparing my thoughts before the memorial service, the church ladies who were volunteering at the service recognized my anxiousness as I “hid” with them in the kitchen of the church. They offered me a comforting cup of tea... in this mug. Can you believe it? It took my breath away. It was comforting and moving — something greater than me was clearly at play. Was Scott’s spirit soaring in his own service? Telling me he was OK? I wear a delicate eagle necklace around my neck every day. Scott’s widow Heather (one of my dearest friends) gave it to me for my birthday that year. It both comforts and reminds me...of a life well lived and that Scott's spirit is alive and well. RIP Scott Jason Gehring. May you continue to soar to new heights wherever you are. You can read more about the symbolism of the eagle here. My mission is to live a beautiful and balanced life - inside and out - inspired my color and creativity. I am a mother, wife, daughter, sister, business owner, friend and community volunteer. I am absolutely passionate about color and bringing more beauty, style and joy to our lives. Ethereal theme. Theme images by deepblue4you. Powered by Blogger.